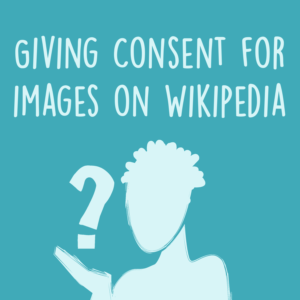 This guide explains how to upload images to Wikimedia Commons with the right kind of consent. Learn step-by-step how you can upload images to be used in all the Wikimedia projects. 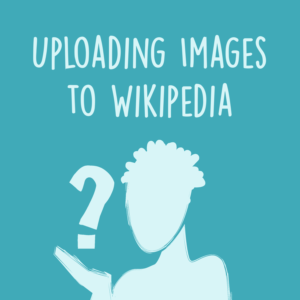 This guide explains how to create drawings of a person from photos for uploading onto Wikipedia. 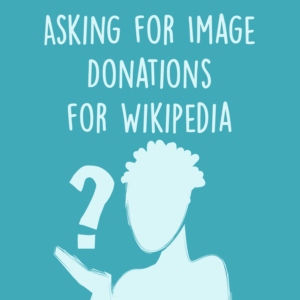 This guide includes draft messages you can edit in order to invite contributions to Wikipedia. This guide explains how to find free images that you can use on Wikipedia. This step-by-step guide explains some dos and don’ts when it comes to adding images to Wikipedia. A proposed process and framework for communities to map knowledge, based on methods and questions that have been useful for some Whose Knowledge? partners. 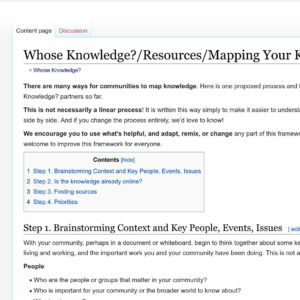 This guide helps Wikimedians to add knowledge to Wikimedia projects as allies of marginalized communities. 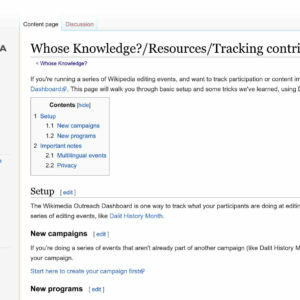 This page will walk you through basic setup and some tricks of the Wikimedia Outreach Dashboard, in case you're running a series of Wikipedia editing events, and want to track participation or content improvement over a certain period of time. 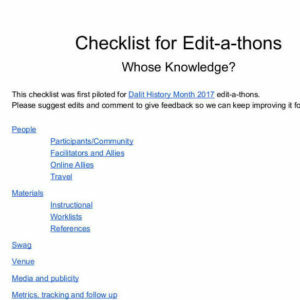 This checklist was first piloted for Dalit History Month 2017 edit-a-thons.